PESHAWAR: Liaqat Ali is a victim of one of Pakistan’s worst bombings, but his injuries are not visible to the naked eye. The 47-year-old government clerk and part-time lab assistant was walking home through the grounds of a hospital in the northwest city of Peshawar in the fall of 2009, when he stumbled upon the carnage left by the blast. Scores of bodies were packed into vehicles. Bleeding survivors with missing limbs and severe burns were scattered everywhere. He has suffered from severe depression and anxiety ever since and is dependent on antidepressants to make it through the day so he can provide for his wife and four children. Ali’s plight has become increasingly common in Pakistan’s northwest, where psychiatrists estimate millions are suffering post-traumatic stress disorder and other psychological illnesses after years of militant attacks, army offensives and US drone strikes. Many don’t receive treatment, largely because of an acute shortage of psychiatrists and psychologists. Peshawar is located close to the tribal regions, the militant epicentre, and has been a major target for the Taliban since they started their insurgency in earnest in 2007. At times, the city was bombed almost daily. Violence has fallen significantly in the last 18 months. Fear and anxiety remain. Ali’s nightmare began on October 28, 2009, when militants detonated a car bomb in a market crowded with women and children. More than 100 people were killed. The dead and wounded he encountered at Lady Reading Hospital on his way home from work are etched in his mind. “Some of them had lost arms, others legs. Some of them had burned faces,” said Ali, becoming visibly disturbed during an interview at a private psychiatric clinic in Peshawar where he was being treated. Within days, Ali was having trouble sleeping, experiencing flashbacks and intense fear. “It would come to my mind that everybody will die. The world was going to end,” Ali said. The northwest is filled with similar cases, according to psychiatrists. A nine-year-old boy suffered PTSD after witnessing a deadly bomb blast in Peshawar. He became irritable, aggressive and said he wanted to kill someone. He couldn’t sleep, had flashbacks and stopped going to school. A 30-year-old woman in the North Waziristan tribal area suffered severe depression and fainting spells after her cousin was killed by a mortar shell on his way to Afghanistan. 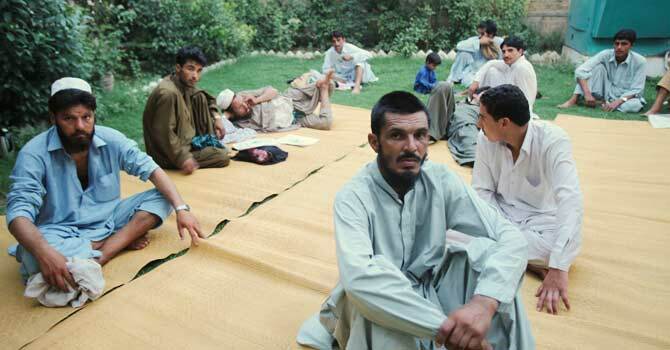 It was unclear whether he was killed by the Taliban or fighting alongside them. An 18-year-old boy in the Bajaur tribal area suffered PTSD after witnessing a Taliban fighter behead an alleged spy, soak his beard with the man’s blood, lick it off his fingers and roar in satisfaction. He felt severe anxiety every time he recalled the incident. 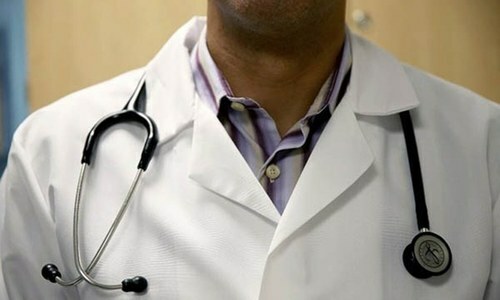 The psychiatrists asked that the names of the patients be withheld to protect their privacy. These kinds of experiences have tripled the number of patients seeking help from psychiatrist Mian Iftikhar Hussain since he opened his private clinic in Peshawar in 2004 after a career in public medicine. He now sees over 60 patients each day and cannot handle anymore. While there are no official figures, Hussain and another psychiatrist with a clinic in Peshawar, Wajid Ali Akhunzada, estimate that up to 60 per cent of the more than 20 million people who live in Pakistan’s northwest could be suffering from violence-related psychological issues. They base this figure on the number of patients who visit psychiatrists in the area daily. Only five to 10 per cent of patients treated by Hussain and Akhunzada have PTSD, but almost all of them suffer from some combination of depression, anxiety and lack of sleep caused by the violence around them. They are generally treated with a mix of drugs and psychotherapy. Use of antidepressants and anti-anxiety medication in Peshawar has more than doubled in the past few years, said Riaz Hussain, president of a wholesale drug association in the city. “Previously these medications were mainly used by Afghan refugees,” who have declined in number, he said. The number of psychiatrists and psychologists in Pakistan is far short of the level needed to handle the current crisis. There are about 600 in Pakistan for a population of 190 million, or roughly one for every 315,000 people, according to figures compiled in 2010 by the late Haroon Rashid Chaudhry, former head of psychiatry at Fatima Jinnah Medical College in Lahore. In the United States, there are about 116,000 psychiatrists and psychologists for a population of 310 million, or one for every 2,700 people, according to figures from the Bureau of Labor Statistics and the American Psychological Association. There are also few social workers who deal with psychological problems in Pakistan. “In our country, education and health are both at the bottom priority-wise, and in health, psychiatry is at the bottom,” said Hussain, the psychiatrist, who suffered PTSD himself after being kidnapped in 2009 and held for 11 days. There are no psychiatrists or psychologists based in Pakistan’s remote tribal region, where fighting between the Taliban and the army has been most fierce and U.S. drones rain missiles down from the sky, said Hussain. “We never know when a drone will drop a bomb right on our home,” said Soba Khan, a 15-year-old boy who lives in North Waziristan and was visiting Peshawar with his aunt, who was suffering psychological problems. Many dealing with mental trauma don’t understand why they are feeling miserable and assume they must be physically ill. They often turn to spiritual healers, knowing that seeing a psychiatrist or psychologist can mean social stigma. Those who decide to visit a mental health specialist can face significant difficulties in getting to a doctor and affording treatment, especially if they live in the tribal region. The potentially dangerous trip from North Waziristan to Peshawar on a public minibus takes eight to 12 hours and costs about $6.50, a significant sum in a country where the UN estimates about a quarter of the population lives on less than $1.25 per day. Doctor visits at public-run hospitals are free, but antidepressant or anti-anxiety medications cost at least $5 per month, and can be much more if multiple drugs are prescribed. Each session at a private clinic, where treatment is better, costs roughly $8.50, and can be several times that if the patient needs to be admitted. Hussain, the psychiatrist, said it was critical to find a way to help the large numbers of people suffering in Pakistan. By design not addressing real cause .Divide they stand to confront the real challenge in all govt departments.At all level ,lust for money caused the serious damage to social infrastructure Lack of unity among people of affected areas,their biased sect mind set /approach are total reason of failure.Parents,teachers and mualvis are no more the role model of the society. Don't forget the politicians .. what have they done to heal our scars? They have all ruined 'our' country for 'us' for a long, long time! Gift of Tehreek Taliban Pakistan to the people of Pakistan. I mean they might have difference with the security establishment and/or government. But making the masses suffer only highlights there savagery and barbarism. Misguided souls. All we need is a sincere government. we need such government who establish Pakistan rather than Swiss Accounts. Why must Indians poke their noses into every issue on DAWN that has the word Pakistan in it and then make off-the-topic remarks .. it's only going to cause more hard-feelings and alienation. 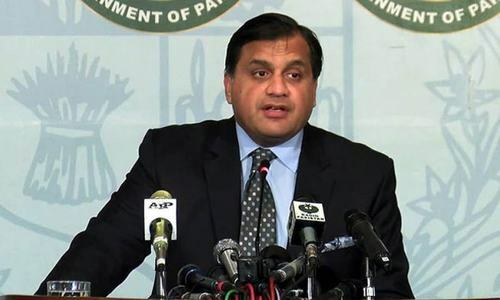 It is this constant interference and trash-talk on DAWN forums that is also reflected in the policies of India towards Pakistan and is THE major hurdle in normalizing relations between the neighbors. The solution, in my opinion, could be to depute Psychiatrists to every Basic Health Unit (BHU) across the country. If there is shortage of Psychiatrists as mentioned then why they could n't employ at least Psychologists at those BHUs. We have universities and they produce every year score of psychologists. If you want to see even this doctor Hussain you have to wait at least for one month. How come is possible for patient to wait for such a long period. Unfortunately, private hospitals such as Rehman Medical Institute and North West General Hospital in Peshawar don't have psychiatrists OPD. If we acount for all these challenges, the price of war is too hight. I wish Musharraf and Zia can go back in time and say NO to the wars. Even though there is an acute shortage of Psychiatrists in Pakistan but just think about the reasons behind that shortage...The field of Psychiatry is being ruled by few Senior Psychiatrists in each major cities who just don't want the junior doctors to pass their training exams to become Psychiatrists and this is one of the major reason that junior doctors are scared of joining Psychiatry in Pakistan....The senior Psychiatrists just feel insecure that junior doctors might cause loss in their "income" from their private practice if they pass them in their fellow-ship exams....This is the mentality of most of the senior Psychiatrists in Pakistan and this is where the shortage is coming from....The new generation of doctors might be able to help sufferers but if they are allowed to grow ! If you are sending Musharraf back, are you asking him to say NO for Kargil? Or only those that you don't like? Once the Kashmir issue is solved, everything will become OK.
Blaming governments or anyone else for what is happening will really not solve anything. That is my take. I totally agree with what you said. Definitely it is foreign agencies that are creating war and problem through out our homeland, sometimes in the disguise of taliban and sometimes in the attire of afghan insurgents. Once we would get rid of them we will be the winners. I do not understand how can one muslim kill another muslim. Muslims must take utmost care to protect and help other muslims. There is so much that we, as a society, do not seem to care about. Mental health issues only bring shame and insults for the sufferer. No support from the society, and hardly any from the family. I believe that our values have been molded by our fundamental belief in a 'tick-in-the-box' system. We have ended up with an extremely narrow definition of what is good and what is bad, what is right and what is wrong. This is beyond depressing but not unexpected. A lot of work needs to be done in those areas. But the million dollar question, who will do it and when it will be done? We should question ourselves too as to what are we doing for the rehabillitation of our fellow countrymen? You are day dreaming !.Dreamers are not doers ! There is no one single hot button to solve the generations of deep hatred . At this time in history, it may be difficult for any meaningful total friendship. Let us wait and see where the trade takes the relationship in 10 to 20 yrs. Yes, Leave Kashmir already and let us Pakistanis have our Kashmir back...everything will become ok for sure..
Don't forget the politicians .. what have they done to allay our fears, heal our scars, stem the displacements, deflect the bombs, stop the war? Tears, hugs anyone? They have all ruined 'our' country for 'us' for a long, long time! well come to Pakistan,jo jaisa bota hai, vaisa he kaatha hai, jaisi karni, vaisi bharni. You cannot say NO to a war that you started, by first killing Hindus starting from 1947. As much as my heart bleeds for these unfortunate, innocent victims - who for no fault of their own, have to suffer because of the conflicts between super powers, etc., I must say that they are not alone. I come from Canada and have first hand knowledge about what is going on in the United States, since I have family living there. Let me tell you - the pain is all around. Over 50% of the U.S. population suffers from depression. According to statistics, more U.S. soldiers die of suicide than enemy gunfire. We just witnessed the massacre in Colorado. Divorce rate is on the rise. Drug addiction is increasing to a point, where they are looking at legalizing it, so that they can properly monitor it. Education system is declining, crime has increased - after the Colorado massacre, gun sales have gone up significantly - what does that tell us about what is happening in the United States. So, while we can say Pakistan, because of it being a poor country cannot take care of its citizens and that is why people are depressed, what is the excuse for the United States. We are heading in the wrong direction and unless we realize that we are all God's children and that our life on this earth is but for a short duration and only our souls are eternal, and get the greed component out of our system, the news that this article is communicating, will become all too common - and trust me, it is all around the world - not just restricted to Pakistan. Only if we all start to love this world for what it is and be satisfied with what we have, can we see some positive change in our lifestyles. Blaming governments or anyone else for what is happening will really not solve anything. That is my take. "Kashmir issue" is only a symptom of a very fundamental ailment. H4H is what traumatising the innocent. H4H is more deadlier than HIV for the sub-continet. It is H4H (Hatred for Hindus) that makes the country swoon like a mistress from one master to another as long as it keeps alive the dream of "Kicking the Hindu". It has degenrated from USA to China and may be North Korea is next in line. If Pakistan kicks out a dream of Kicking the Hindus then it does not have any need for strategic depth. War on terror has badly affected our society in many ways. Psychological issues with people living in Fear has resulted in depression, anger, intolerance and frustration. Ironically after a decade of war on terror, People are still confused why are we fighting the war. Looks like we are reaping what we sown back in 1980s. Are you saying Muslims in Pakistan are killing each other becuase of Kashmir? I don't think so. Pakistan has been playing this terror game in Kashmir and Afghanistan for over 25 years. No Pakistan cared, Now terrorism business has grown, more organizations, more branches, more funds from Ummah. Many Terrorists now know Pakistan is just using them. If Obama vsists Pakistan, army can just kill a few hundred low level terrorists to show "progress" in war on terrorism. As a human I feel pain when I see human suffering because of this non-sense being done in the name of religion. Most people involved in terrorism are involved because of money. Even people become suicide bombers to help their families make some money. Thanks but no thanks for bringing Kashmir issue. Kashmir issue is real and has to be solved for India/Pakistan. Now why would you bring this issue now/here? Only you can tell.. These people are suffering because of war.. And war does not solve anything and only create bigger problem. That exactly is the problem. It is not muslims killing muslim, it human killing a fellow human. You people have rise above your shortsightedness. Comman man is the victims of this so called proxy wars. " When elephants fights it's the ants which gets trampled"
There is NO such thing as Sincere Government. Each one of us is correct, and for that reason we have a Corrupt Government. We don't have the courage to make a 'change'. There are many traumatized people living in Indian occupied Kashmir. Many documentaries can be found on Internet which tells about their lives and mental trauma they are experiencing for past 50 years. May be you should concern about their lives more than Pakistanis. Its almost 3 years now that the bomb blast took place in one of Peshawar's busiest Bazaars and I have hardly gone to bazaar since then. Its not that our death time is not fixed or somethings, it is just that I do not want to die the way those people did, especially women. My sister worked at Lady Reading hospital, Peshawar in those days and she said every staff member who would come from casualty would do Tauba , because of the condition of the dead bodies. US claims to be fighting the war against terrorism but I just wonder why only this part of the world is the victim since 2002.
economic development & giving respect to minorities can change the situation of pakistan..
A very sad story of real human beings who are paying for no fault of theirs. High time Pakistan goes into deep introspection and realizes that peace and harmony are the only real assets - no amount of bombs, armies, tanzeems, leadership of umma, 1000 year wars, and jehad is worth it if this is the price to be paid. All Pakistanis need psychiatric treatment including me. End the war...Work for peace and harmony. Everything will be on track. Taliban interpret Quran in another way. It is the same Quran, with the same words. But the meanings have been changed. Whether you change the words or the meanings, the result is the same, people are lost, and human become sub human. Would any scholar, please say something on the topic that why people memorize Quran and then they go and change the meanings. I don't know what to say. I feel sad at all this human misery.